Submissions are now closed. Good luck to all who entered! 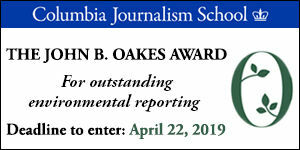 The Nina Mason Pulliam Award for the "best of the best" environmental reporting will award $10,000 to one entry selected from the first-place winners of SEJ's Awards for Reporting on the Environment. The prize also includes travel, registration and hotel expenses (up to $2500) for the winner, or representatives of the winning team, to attend SEJ's annual conference and be recognized at the awards presentation ceremony during SEJ's 29th Annual Conference in Fort Collins, Colorado, October 9-13, 2019. Winners will be announced in August, or as soon as possible after judges have completed their deliberations. ☀️ SEJ is pleased to announce the Ray Reece "Excellence in Environmental Journalism" Student Award for undergraduate, graduate and high-school students. Prizes include first place: $500, trophy and certificate; second place: $250 and certificate; third place and honorable mentions: certificate. 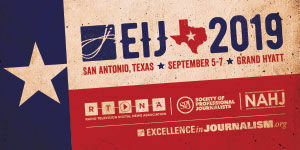 In addition, the first-, second- and third-place winner(s) (or selected representative, if a group project) will receive travel and registration expenses to receive the award at a luncheon during SEJ's 29​th​ Annual Conference in Fort Collins in October 2019 and to attend the five-day conference. 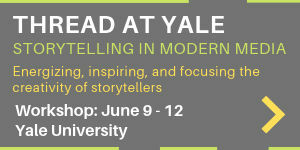 Funded by the Ray Reece Environmental Journalism Foundation. The student category supports the initiative by the Student Press Law Center and the Freedom Forum Institute/Newseum declaring 2019 as the Year of the Student Journalist. SEJ's Awards for Reporting on the Environment continue to honor the best environmental journalism in eight categories, bringing recognition to the most important stories on the planet. Prizes of $500 for first-place winners and $250 for second-place winners in all categories. The Nina Mason Pulliam Award is sponsored by The Nina Mason Pulliam Charitable Trust.